Hey, everyone. I just wanted to show off my build I made around a week ago using the beautiful NCASE M1. As a student, space is everything in a dorm room, and this case was perfect for both my aesthetic needs and space containment, all in a great enclosure. I had a few goals in making this build. To make it as quiet as possible with a great price to performance. I want to max out 1080p with the option of 1440 144Hz in the future when my living arrangements are more stable. I plan on taking this build on airplanes, so liquid cooling was not an option for me, which didn't really matter to me anyway, as air cooling is getting really really good compared to 120mm rads these days. And... it was a complete success! I can't even hear it roar up when Unigene Heaven is running, and it was getting amazing frames. I haven't OCed anything yet besides the RAM, I'm waiting for it to cool down a bit here before I start pumping out some heat, but I have a good feeling about it. I will say, when building in the NCASE, every centimeter matters. Order custom cables for your parts! I'm running only on a M.2 SSD for now to reduce cable clutter, but even then, between PSU cables, case headers, and fan chains, there is a lot of stuff running around in here. My custom lengths were 30mm 24pin, 40mm 8pin CPU and 20mm 8pin PCI-E respectively. However, I will say that if I were to do it again, I would have bought the shorties from Ensourced as he recommended I do and bought extenders for a cleaner look... even though I can't see inside. Trust me. Getting the right order saves so much time. I had to keep unscrewing and re-screwing in components just to make things fit. I'll go more in depth with my parts in the reviews, but I'm really happy with everything I got so far. Paying a bit more for a better quality if worth it completely IMO. What is there to say that hasn't been said already? Best bang for the buck for multi use CPUs right now. Fast, low TDP, and getting to be a reasonable price for people who do things that use multithreading. 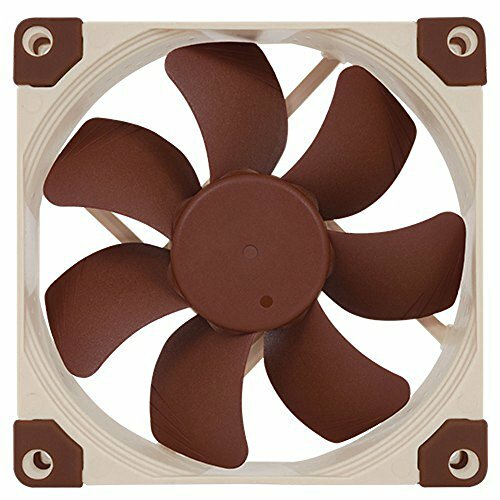 In my opinion the best CPU cooler in it's height class. Completely quiet even with one fan, and cools my CPU well enough to not need to worry about it even in such a small enclosure. Adding another fan only helps out with this. It might not be the best price to performance, I might have to give that to the CRYORIG M9i/a, but if money isn't an issue here, I'd go with it. I'd love different color options, but my case has no window so I don't really care. 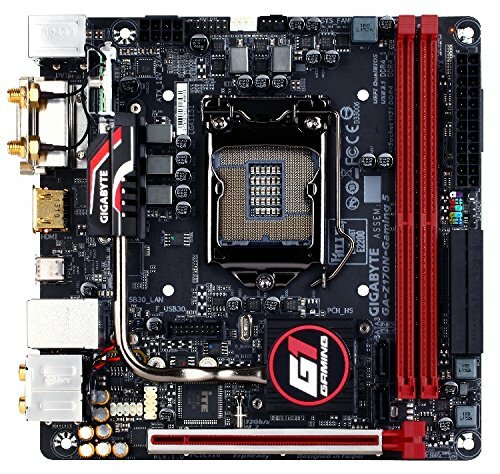 What this motherboard lacks in any sense of good header placement, and lack of fan headers it brings back with M.2 support and Thunderbolt 3 support. I wish the color scheme was a bit more neutral, but it is good enough. The Killer Ethernet Port is good for some, bad for others, but you can also just install the standard driver anyway. If you're looking at this, there are two other boards to consider. The Asus Z170i mITX and the ASRock Fatal1ty Z170 mITX. Those two have the 2 case fan headers and the M.2 slot, but lack the Thunderbolt 3 support. It's all up to you which one fits your needs best. Look at the color and IO as well, and see what you like best. Not going to lie. I bought it because it was the right color blue I wanted. 2666 is a great speed to get that doesn't require more voltage, which is nice and it came in a good price. No complaints here. Again, what is there to say about this card that hasn't been said already? Silent at load. Cool. And it looks great. Gets me the speeds I want without costing me too much. Best SFX PSU on the market for its rated wattage. Can't say anything better then jonnyguru, but this thing runs like its Platinum rated in such a small form factor that I'd tell anyone to get it or the smaller 450W version. Mine is silent. 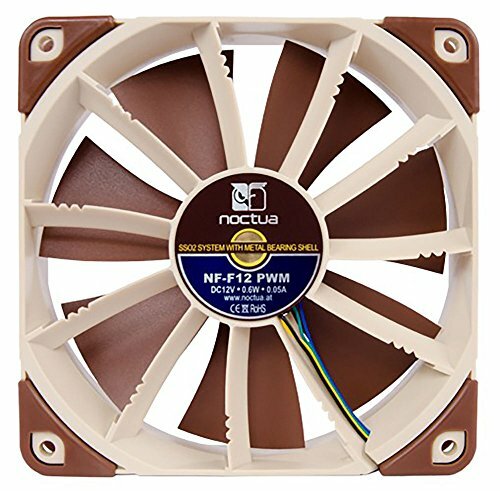 Silent, well crafted fans that blow directly onto my GPU for fresh air, and despite the color, it does it great. Another great case fan. Can't complain at all about how it works and how quiet it is. is Intel 600p noticeably fast ? 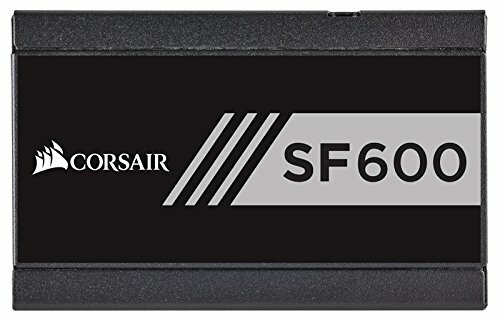 Compared to other SSDs? Not particularly. But at around the same price as the 850 Evo, it seems completely worth it to me. What temps are you getting on the cpu and gpu? I'm doing a similar build but with an i5 6500 instead. 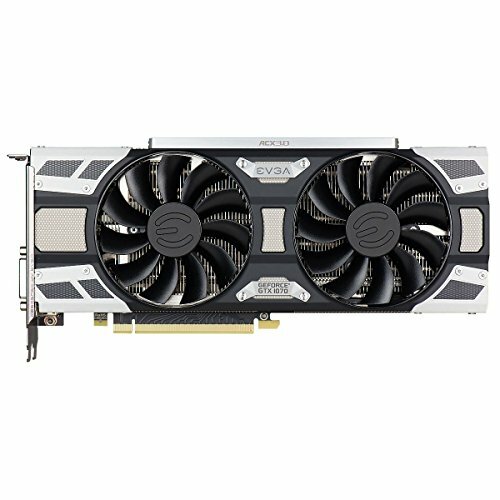 Not sure if I should get the EVGA 1070 SC or founders edition. Very cool, but I'm not OCing anything yet. The Founders is the safer choice, and more cost efficient one as you don't need the dual intake fans on the bottom, but it is a bit louder. So get the extensions so the cables aren't mishmashed? Because the shorties get the cable mishmash part out of the way, correct? Correct! The way Corsair (Great Wall) wires their cables makes them all twisted and funky. The shorties gets that out of the way so that you can get perfect, straight extensions. Looks great, dude! Thanks for the cable lengths & build order advice. It's a toss up between this or the Case Labs BH2 for me. I prefer towers to cubes but it's a great looking case that isn't huge. What can I say about this build? Well let's just say I'm using it as a template for my first ever build, almost to a T. I'm half way through receiving all my parts and I'll give you a special mention in my build review when I'm finished. Thanks a million bud. No problem! I'm excited to see it.